Posted on October 16, 2013 by Akashic Love & Light! Most tourists don’t think of cold Arctic destinations when planning a seaside vacation escape. But with some creative planning you could actually swim on your vacation to Finland! Step 1. 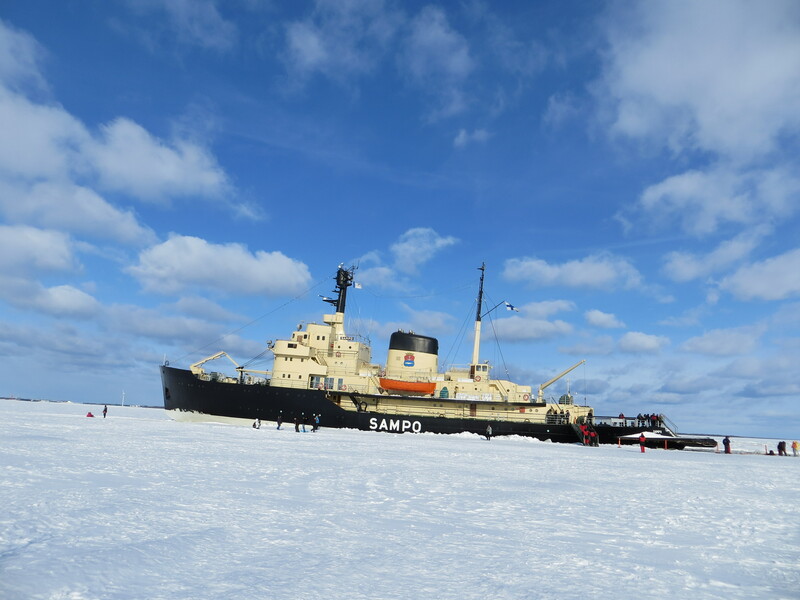 The sea in Arctic regions like Kemi, Finland is frozen for most of the winter, so you must locate an Arctic Icebreaker such as the Sampo Ice Breaker to break through the ice to go swimming. Step 2. Boarding the ship may be an ordeal if there is not a nearby pier. Luckily this icebreaker on the Gulf of Bothnia is equipped with a crane to pick up passengers if needed. Step 3. The ship may have to cut through miles of ice before locating an adequate swimming hole. This could take a while. Step 4. 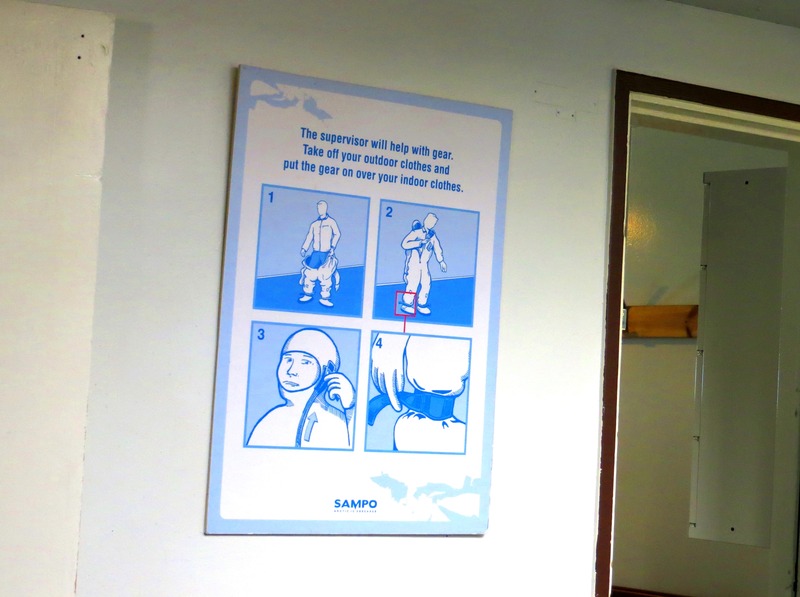 While the ship is cutting through meters of ice, look for the stash of Arctic-rated survival suits….probably located in the lower section of the ship. 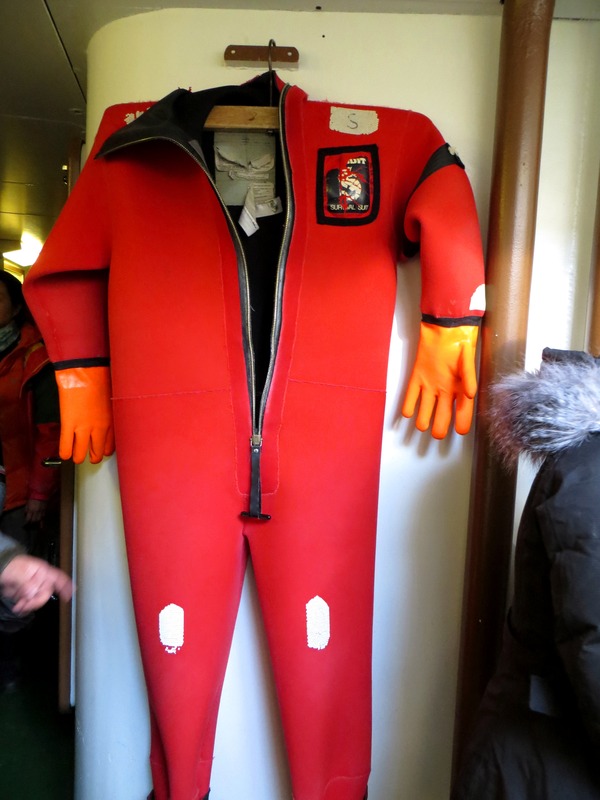 These survival suits enable its wearer a greater chance of survival if they unfortunately ended up falling into the cold artic sea. 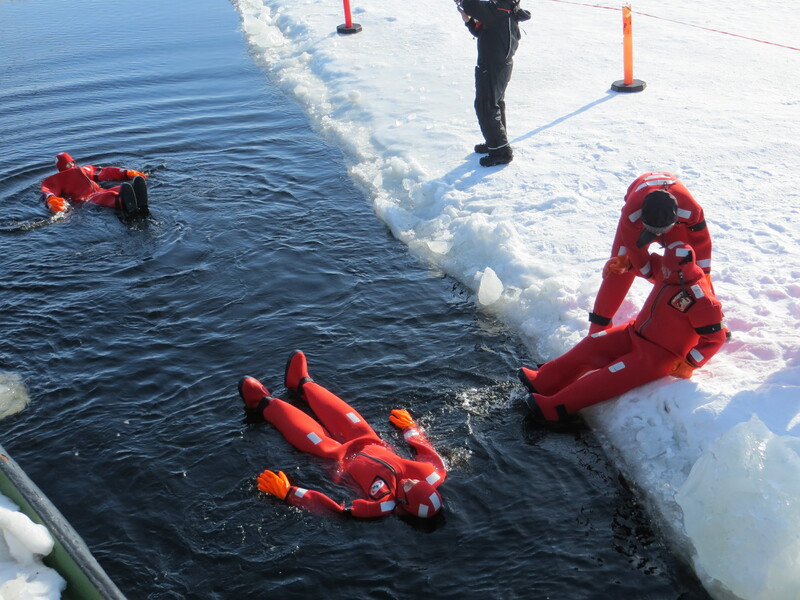 The suit provides insulation, floatation, and water protection in the event of an emergency. Don’t get me wrong- these do not provide much warmth but prevent hypothermia for up to 6 hours and in some cases longer. But they will do for a casual swim! Step 5: Following the handy instruction chart posted on the wall, take off your outerwear, putting your suit on over your clothing. Now you are ready to go! Step 6. Head out onto the sea and jump in! Word of warning- these are not absolutely waterproof. You must float on your back. Do not submerge your face or float on your stomach. The water could flood into the seams and lining around your face. Step 7. 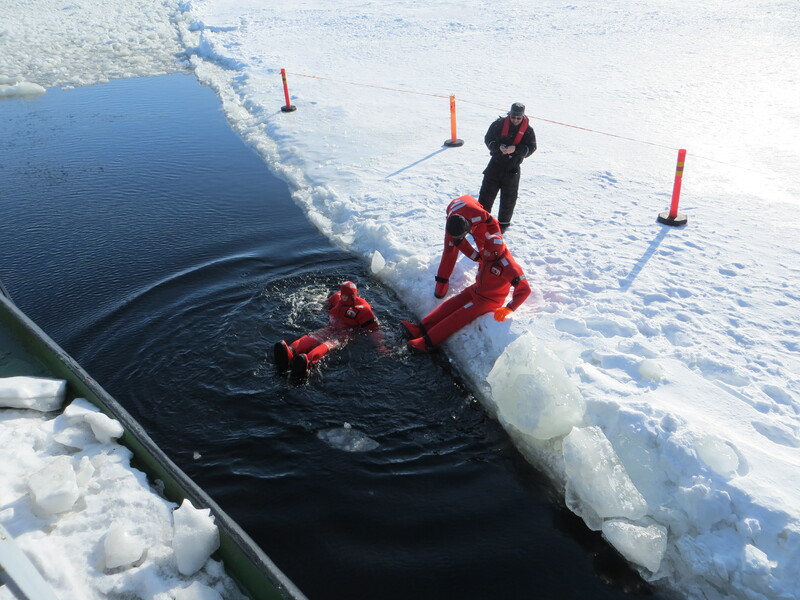 Once in the water feel free to float around and enjoy swimming in the frozen sea! 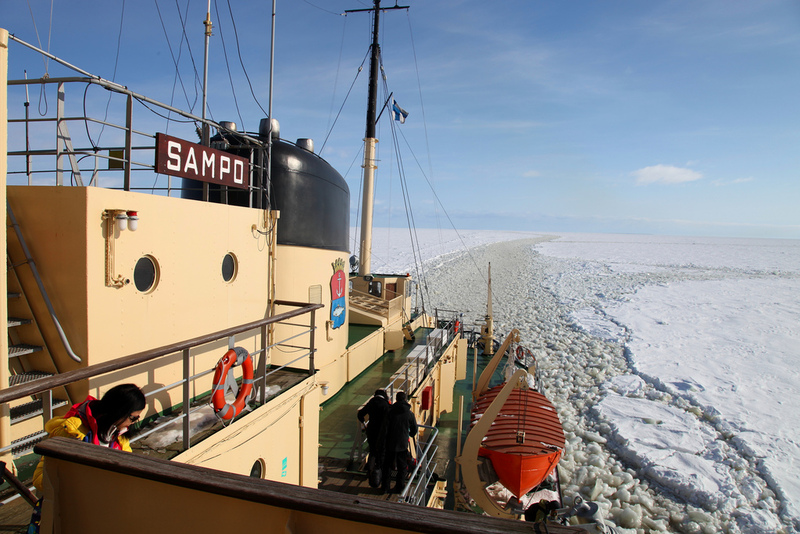 *Trips to the Sampo Icebreaker can be arranged directly through their website or can be added onto a longer package to Kemi, Finland through Nordic Visitor. This entry was posted in Arctic and tagged Arctic, Finland, Gulf of Bothnia, Icebreaker, Kemi, Northern Sea Route, Russia, Sea ice, Ship, USMLE Step 1. Bookmark the permalink. ← How to Survive a Night in an Ice Hotel!